Festival and Symposium now on! The Wyaralong Sculpture Festival and Symposium will feature seven acclaimed Queensland, Australian and international sculptors who will create individual sculptures over 16 days to create a new Lake Wyaralong Sculpture Park on the banks of Wyaralong Dam in South East Queensland. The large-scale public artworks will reflect the recreational and/or environmental elements enjoyed by Visitors to Wyaralong Dam and Mt Joyce Recreation Park. 11.00am Saturday 26th September 2015 at the Eastern Trailhead, Wyaralong Dam, Scenic Rim. 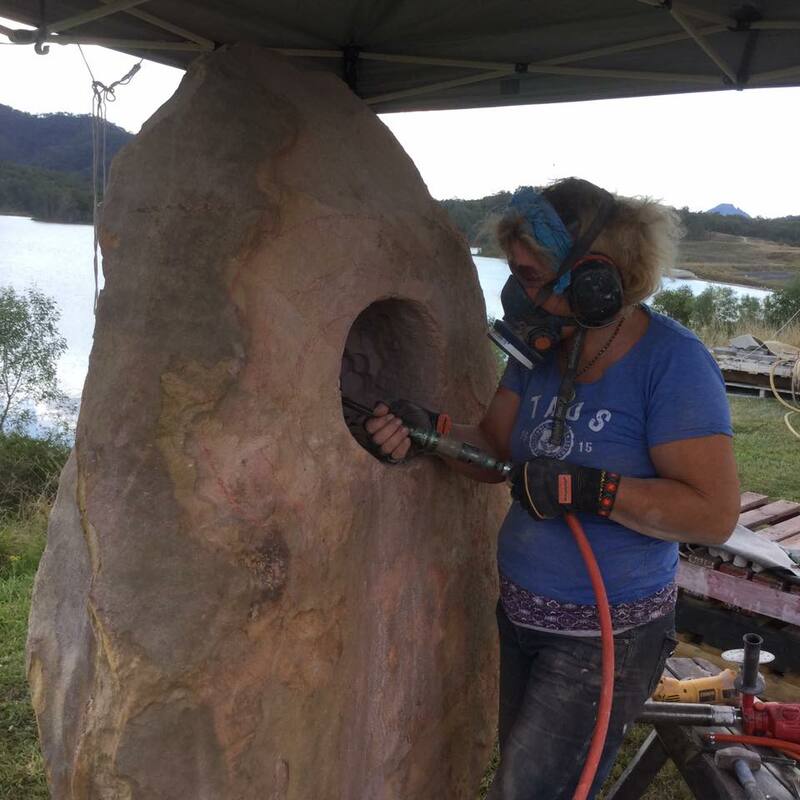 Join seven acclaimed sculptors as they start to create seven large public artworks from lumps of rock, wood and metal at Wyaralong Dam. See the seven new large scale artworks that have hewn from lumps of rock, wood and metal that will form the new Lake Wyaralong Sculpture Park. BADCAP is the major funder of the Wyaralong Sculpture Festival and Symposium using funds from over five years of fundraising in the Scenic Rim community, principally from the annual Arts in the Olives Festival. The Wyaralong Sculpture Festival and Symposium project was made possible by the Australian Government’s Regional Arts Fund, which supports sustainable cultural development in regional, rural, and remote Australia to give artists and communities’ better access to opportunities to practice and experience the arts. Additional funds have been provided by the Queensland Government’s Regional Arts Development Fund, an Arts Queensland and Scenic Rim Regional Council partnership that supports local arts and culture. We also acknowledge the support and authorisation from Seqwater that has made this event and the establishment of Lake Wyaralong Sculpture Park possible.